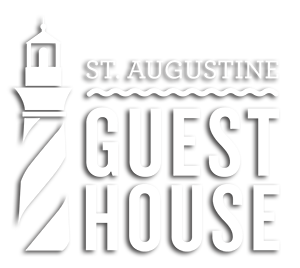 The St. Augustine Guest House is located in the heart of downtown. Walking distance to amazing restaurants, bars, tours, and more! Spend the morning at the nearby beaches, enjoy some shopping as you stroll through cobblestone streets, plan a gourmet dinner outing, arrange a ghostly night adventure, or do all four! You won’t find a more perfectly situated, 2 bedroom vacation rental in downtown St. Augustine. We invite you to come stay with us and experience all this little gem of a town has to offer!